In 2018 we had the opportunity to continue partnering with the amazing organization Grid Alternatives. 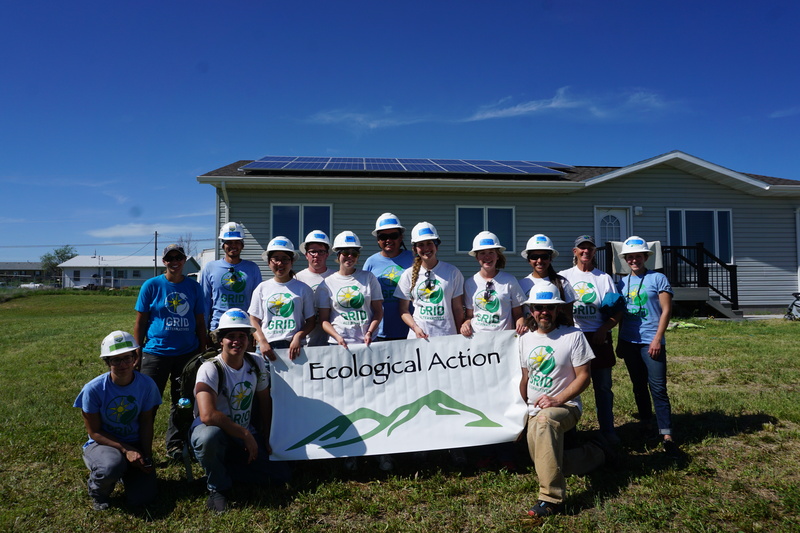 For the second year, EcoAction traveled to the Pine Ridge Native American Reservation last year and successfully installed solar panels on residents’ home! We are so excited about this project and the ability to give a sustainable energy option to those who will greatly benefit. To be prepared for this year’s trip, we conducted solar training meetings at Cherry Creek High School. AP Environmental teacher and EcoAction club sponsor Jeff Boyce lead these trainings, and we felt very prepared for this summer’s install! Not only has this been an amazing collaborative experience for the students who regularly attend the trainings, it also has been a way for students that are passionate about the environment to learn about solar panels, a critical and beneficial way to protect and connect with our surrounding environment.